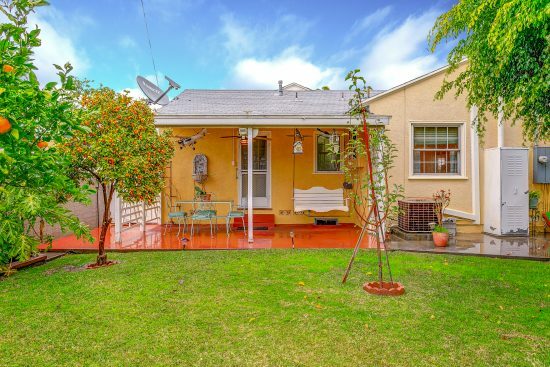 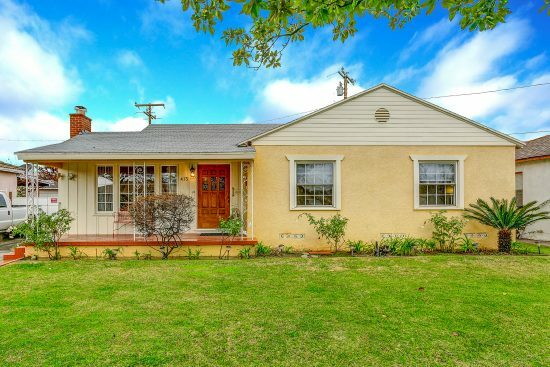 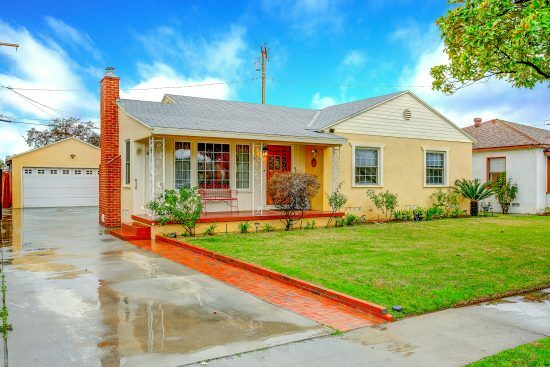 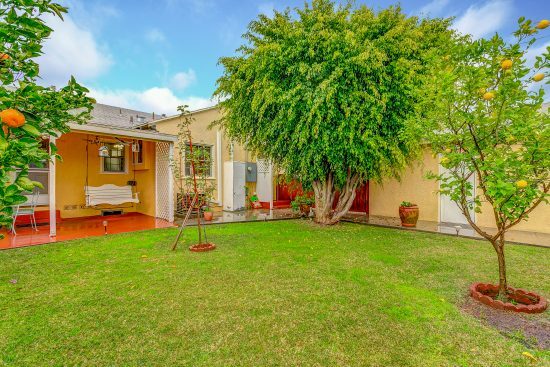 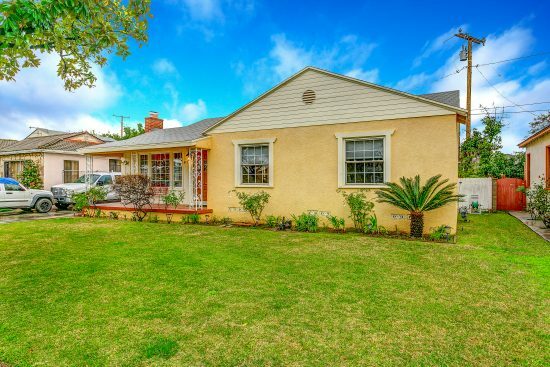 Pride of ownership exudes from this charming traditional home, located in a lovely Montebello neighborhood. 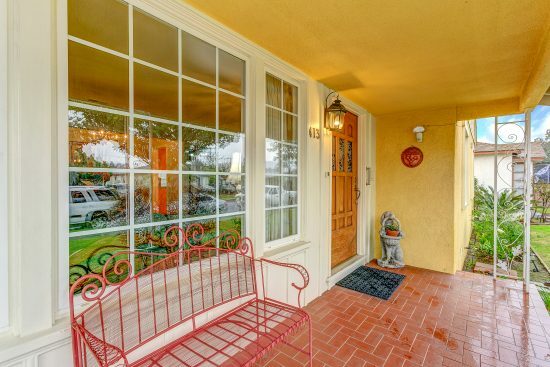 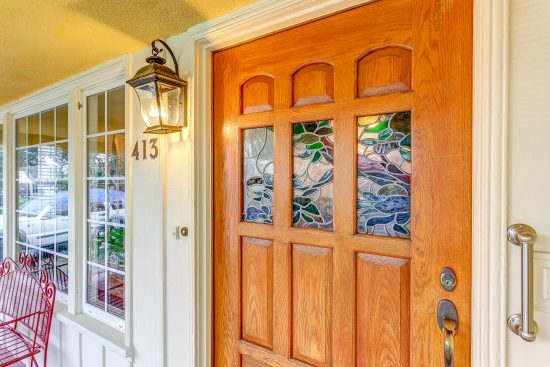 There is a quaint covered front porch area to greet you upon entering the home. 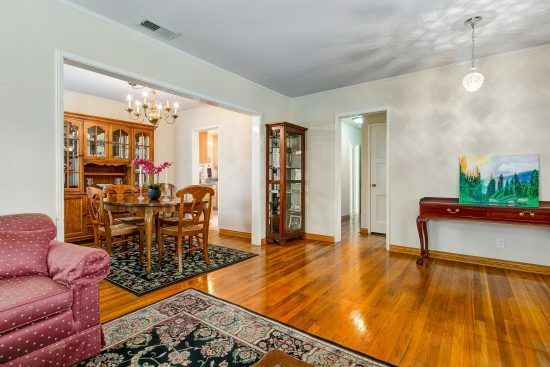 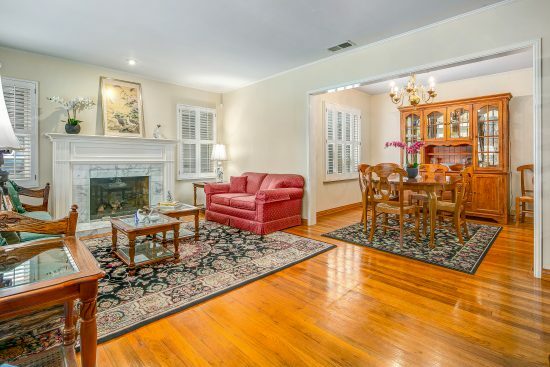 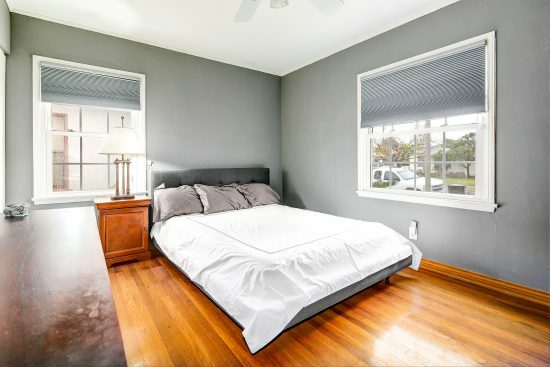 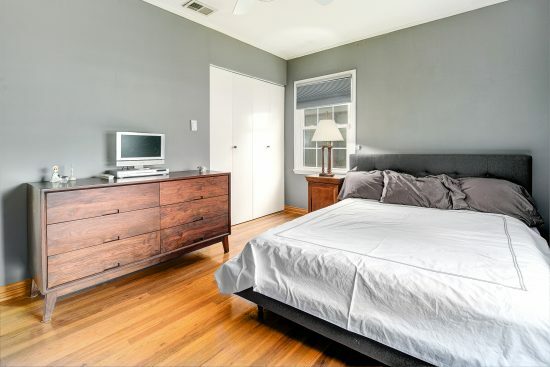 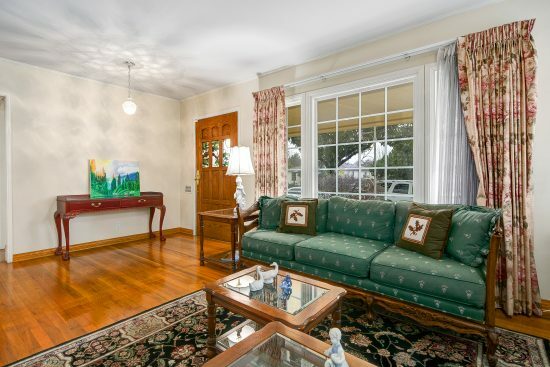 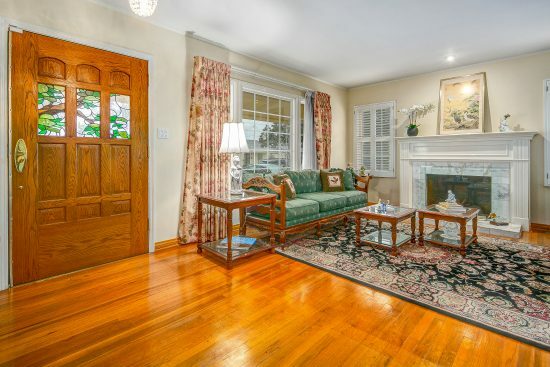 Hardwood floors throughout help create the charm and coziness this home offers. 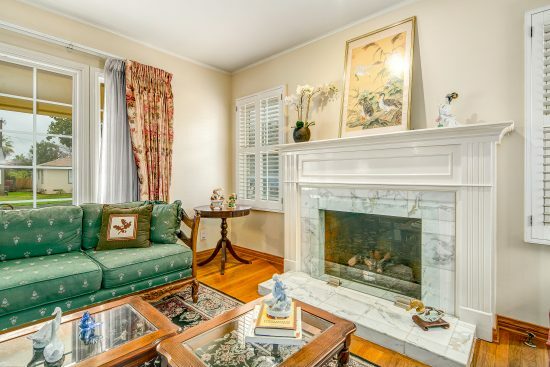 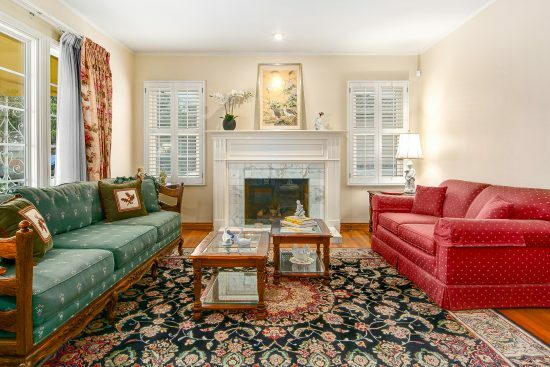 The living room features plantation shutters and a beautiful marble fireplace with traditional style mantle. 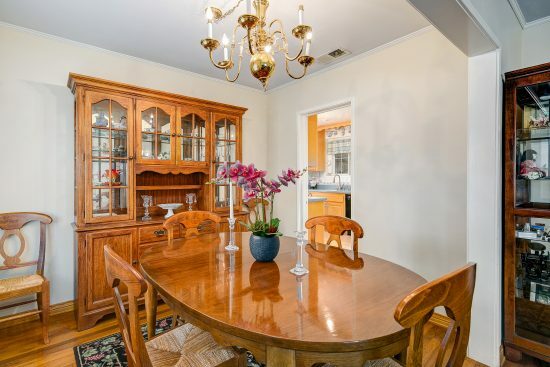 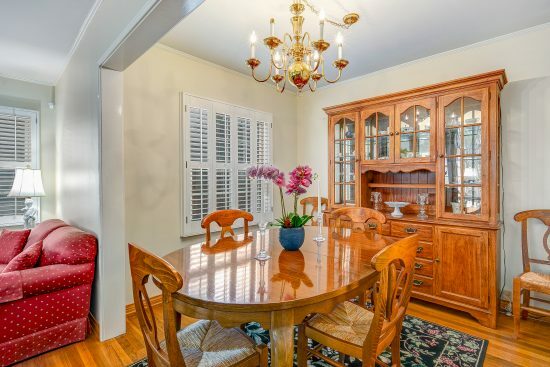 Adjacent is a nice sized dining room allowing space for gatherings with friends and family! 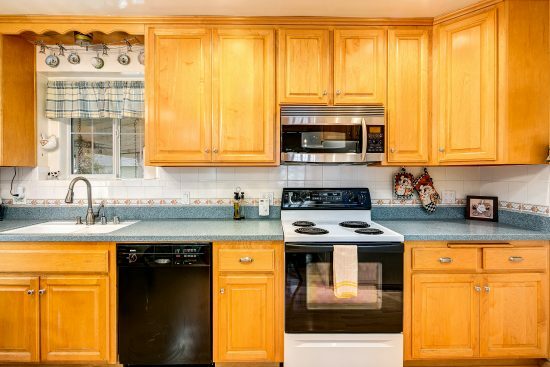 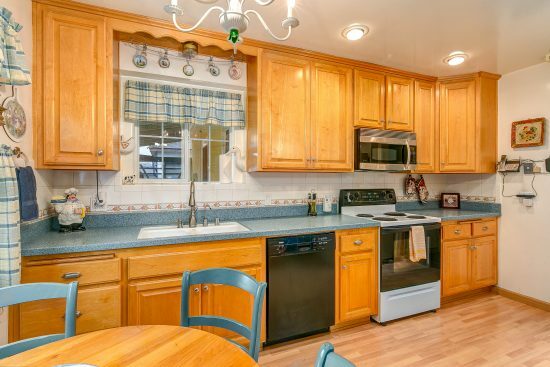 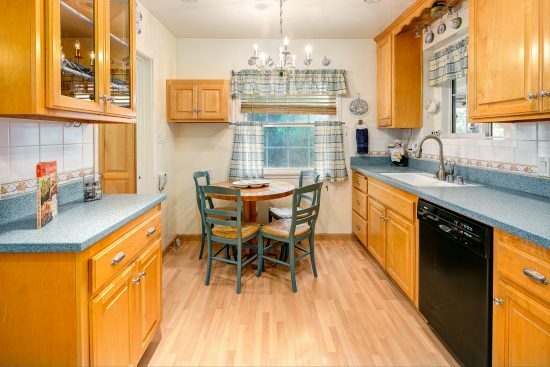 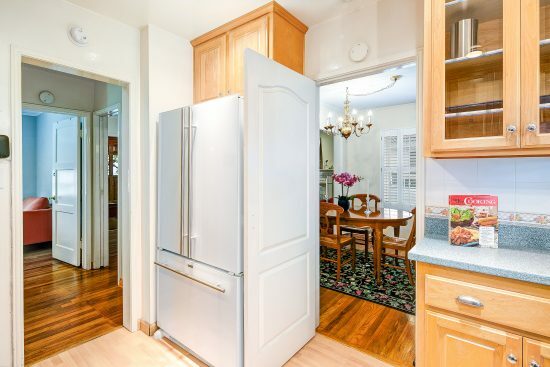 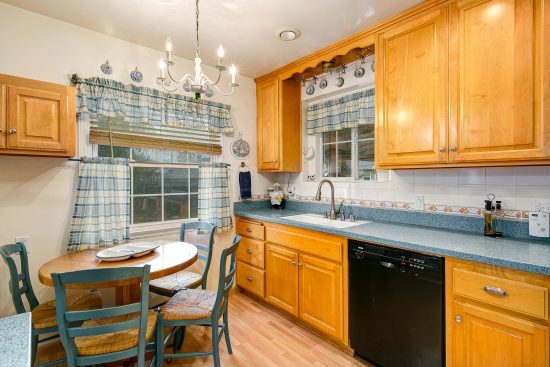 The updated kitchen has ample wood cabinets, electric range, built-in microwave and a Bosch dishwasher. 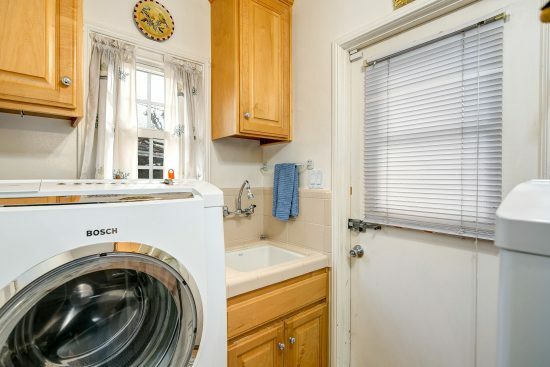 From the kitchen, you can enter the laundry area with access to the back yard. 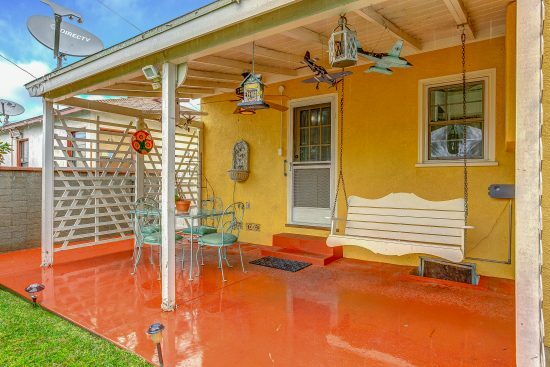 There are three bedrooms, one of which leads to a wonderful back patio area. 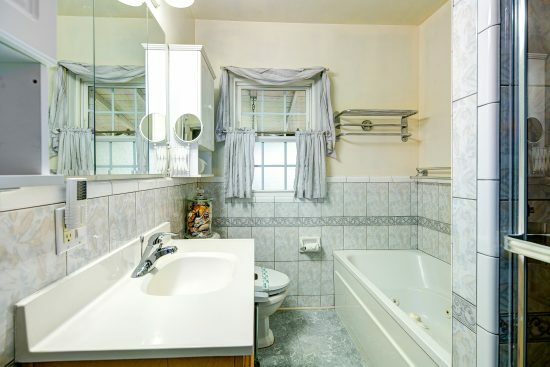 The bath is a good size with a large tub with jets and a spacious stall shower. 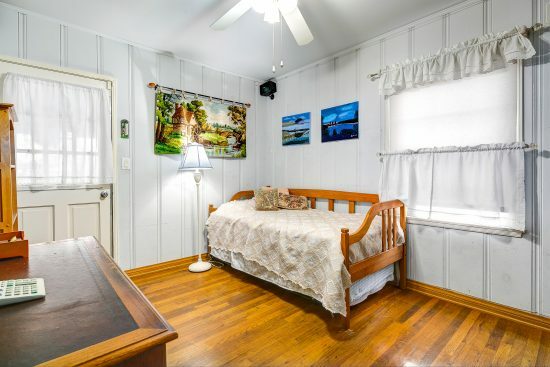 There is central air & heat and wired for alarm system! 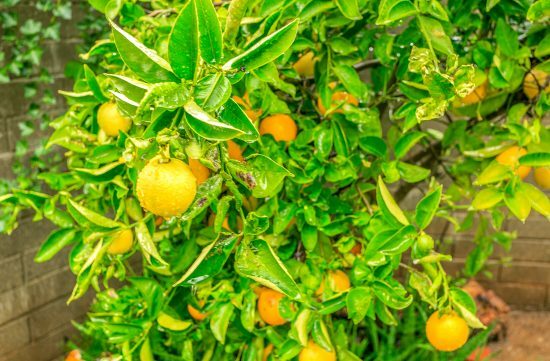 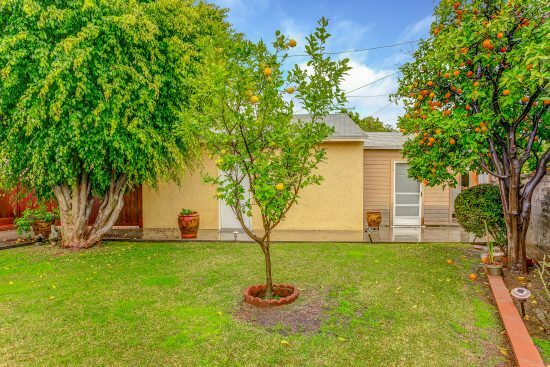 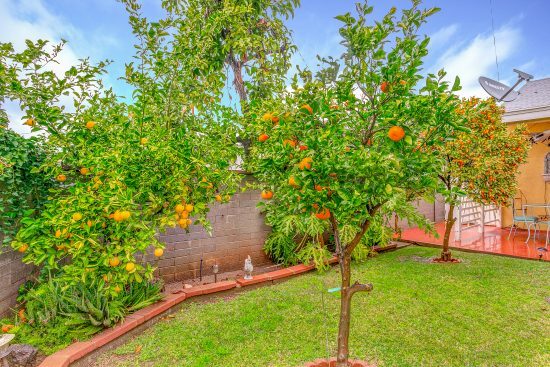 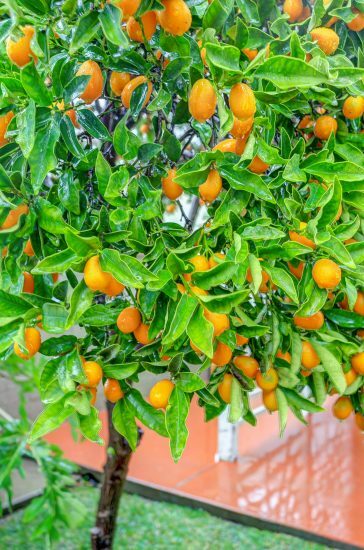 A private backyard offers many fruit trees including, oranges, lemons and kumquats! 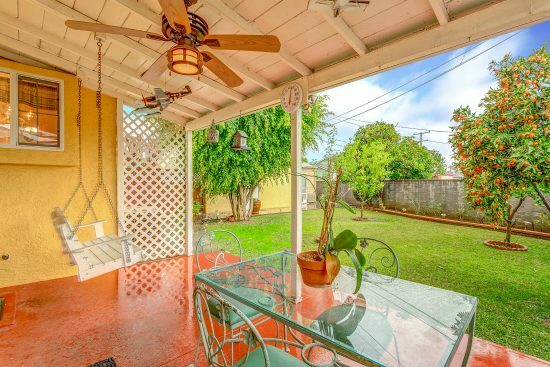 Plus, there is a covered patio area, ideal for enjoying the cool evenings, dining alfresco or BBQ’s! 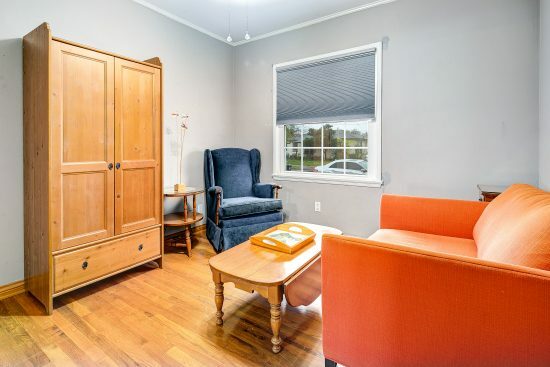 Behind the detached garage is a nice bonus room for office, exercise, storage or play! 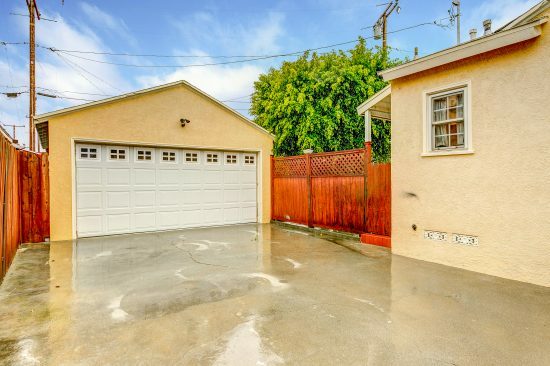 A shed is also included in the rear corner. 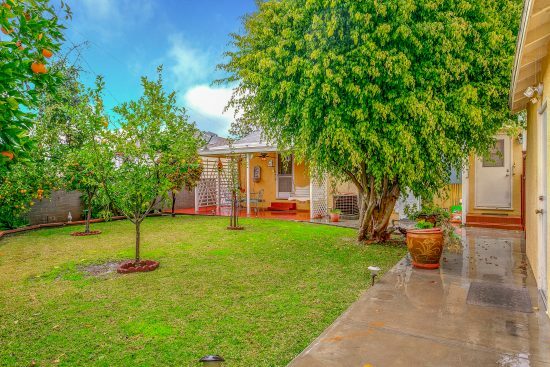 A wonderful opportunity awaits to make this lovely house, your home! 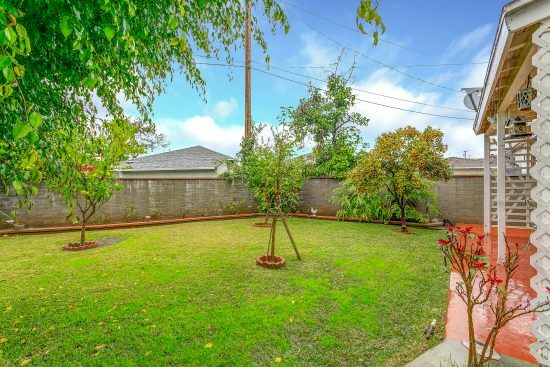 413 Andruss Place is a residential property located in Montebello, CA. 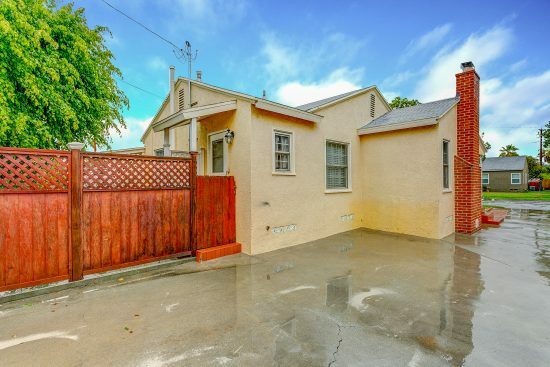 This property sits on a 6285 sqft lot, is 1177 sqft, with 3 bedrooms, 1 baths.